New Era Group have installed a new range of Australian-manufactured and environmentally friendly halogen-free safety conduits at stations in the Epping-Chatswood Rail Link (ECRL) in NSW. These safety conduits are available from Evcco . The electrical cabling installation complied with the requirements of NSW Railway’s Safety Guidelines for Fire and Life, which encompass a range of requirements for building products used underground, including ensuring that they produce no corrosive or toxic flue gases in the event of a fire. According to Andrew Parramore, Operations Manager for New Era Group, the safety conduits, made from polymer, weighs about one eighth the equivalent made of steel and is easier to transport and install. New Era Group specialise in providing customised installations for security, data, automation control and electrical systems, working on major construction and infrastructure projects including the New Southern Railway (Airport Link) and the City Underground Fire, EWIS and Camera upgrades. The safety conduits are installed at the stations of Macquarie Park, Macquarie University, Delhi Road, Epping and Chatswood, in the Epping-Chatswood Rail Link. Traditionally metal conduit is cheaper to buy initially but more expensive to install, which can be a major factor in installations involving confined or underground spaces. It can also demand more expensive specialised trades, such as welding, and is more difficult to modify as infrastructure needs change, and to remove for recycling. The safety conduits are made from halogen-free flame retardant polymer and serves as an alternative to PVC conduit and containing no known toxins. The four types of safety conduits are used to carry electrical cabling in surface and sub-surface applications and also used within safety equipment such as aspiration systems and air sampling systems for protection against smoke and toxicity. All safety conduits are all lighter and easier to install than metal and PVC conduits but do not contain environmental and safety hazards that can leach into soil or be released into the air by fire. The safety conduits, available in sizes ranging from 20-110mm (outside diameter), are complemented by a comprehensive range of junction boxes, inspection elbows and tees, bends and adaptors. 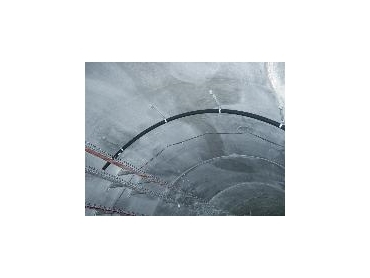 Designed to easily follow the contours of tunnels, trenches and structures, rather than being bent or welded into shape, the range of safety conduits has been formulated for maximum environmental benefit without degrading overall performance, including impact resistance. Producing no corrosive or toxic flue gases in the event of a fire, the safety conduits are designed for areas where there are high concentrations of people, high concentrations of assets or risk of high costs due to production interruption. Applications include advanced technology industrial plants, mining plants, rail and road tunnels, airports, subway systems, power plants, oil refineries, lifts, emergency plants, ships, aircraft, trains, computer and telecommunication installations. They can also be used in hospitals, schools, hotels, museums, theatres, shopping centres and conference centres.